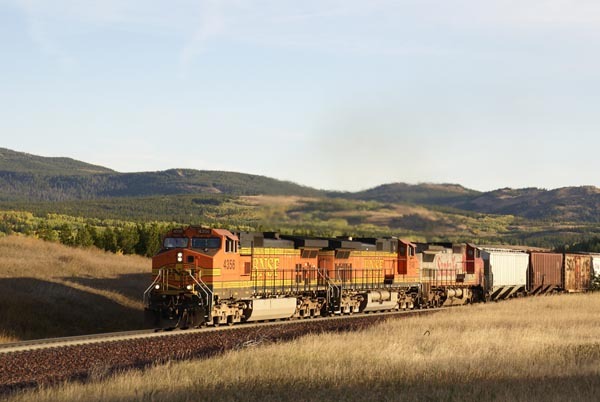 Photograph of a railroad freight locomotive on the BNSF Burlington Northern Santa Fe Railroad Montana subdivision. The BNSF traverses the most northerly route of any railroad in the western United States. Picture taken on the Marias Pass, Montana, USA. VIEW: More images from the category Burlington Northern Santa Fe Railroad or taken at the same location or around the same time .